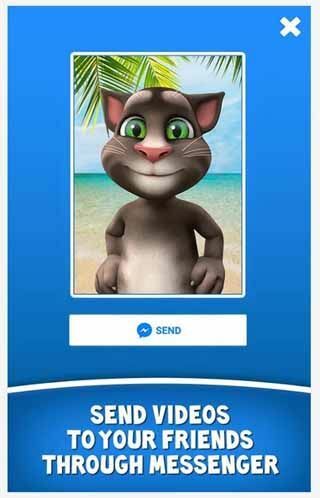 Free download Talking Tom Messenger for Android with APK file. 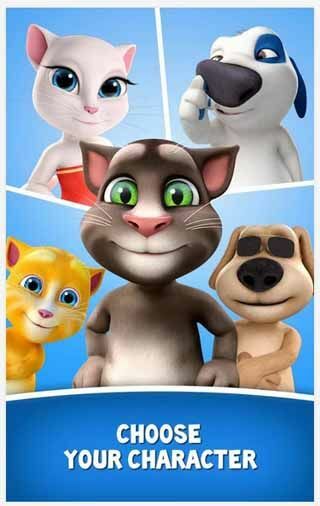 Download Talking Tom Messenger new version from the direct link. This app is integrated with a social media messenger as the main feature and can therefore be used only by users over the age of 13. Talking Tom for Messenger is by far the easiest and fastest way to send a video message to your friends on Messenger… You don’t even need to type. All you need to do is choose your favorite Talking Tom and Friends character and tell them what you want to say. You can choose to be Talking Tom, Ben, Angela, Hank, or Ginger. Just record a short video and then send it via Messenger. It’s as simple as that. This app is perfect for sending messages you would otherwise be too shy to say in person, like apologize to someone, profess your undying love or sing a song… You can even create your own funny video story. Or just use it to send hilarious messages to your friends and family. Select the character you want to send the message with. Select a background or use your own photo. Record a message by pressing the big red camera button. Send the video to your friends, family and loved ones via Messenger.